314 Digital is St. Louis’ professional organization devoted to education, networking and career development for those professionals passionate about the enhancement and development of interactive marketing. 314 Digital’s leadership team is composed of professionals with rich and diverse experience from a variety of industries servicing digital marketing. The team is responsible for coordinating and facilitating 314 Digital’s calendar of events that includes educational panels, charity efforts, and a large-scale digital marketing showcase. 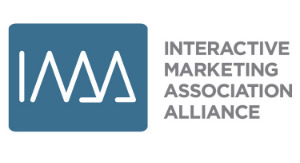 314 Digital was founded in 2012 and is affiliated with the IMAA (Interactive Marketing Association Alliance). Natalie Strickler is a native of St. Louis; she graduated from the University of Missouri-Columbia with a degree in Journalism-Advertising. She spent ten years in Chicago working at The Onion, Starcom and then PointRoll/Sizmek. She moved back to St. Louis in 2011 and is now a Senior Sales Director at Liquidus. Please contact Natalie at ntstrickler@liquidus.net if you are interested in partnering with 314 Digital. Scott is a strategic, innovative and data-driven digital marketer and has been in the digital advertising space for over 10 years. Currently, Scott is the digital Center of Excellence for Nestle Purina. Prior to joining Purina, Scott managed the planning and execution of all platform-based advertising for each of Scottrade’s lines of business utilizing multiple methods of planning, buying, testing & measuring. He launched one of the first programmatic private marketplace advertising campaigns with Google (Invite Media) in 2012 and is always striving to implement best and next practices amongst the Nestle Purina campaigns. Emily Ann has a diverse background in media buying and planning including national television, social media, digital media and local traditional media. 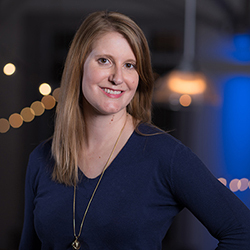 She began her career at Empower Media Marketing in Cincinnati, worked as an Account Planner at True Media and then started the paid media practice at Elasticity. Emily Ann is passionate about making sure media and content work cohesively together to drive effective and measurable results for her clients. Lauren Gosling is an marketing professional with a decade of creative and digital experience. This Mizzou grad started her career a designer at the St. Louis Convention & Visitor Commission. She's also worked as an art director at Obata before shifting her focus to digital strategy at HLK. Most recently, Lauren served as the director of digital service at STLCC. She is now working as a full-time independent contractor in the areas of creative development, user experience planning and digital strategy. Kelly Wiethuchter currently holds the position as Sales Director for AudienceX working with many top agencies and brands in the region. She began her career in local broadcast sales in Tulsa, and later moved to Chicago to work in national cable sales for FOX Sports Cable Networks. In 2012, she moved back home to St. Louis and started working exclusively in the digital space for Centro. Please contact her at kelly@audiencex.com if you are interested in exploring sponsorship opportunities with 314 Digital. Jill Gainer has been active in the St. Louis media community for more than 25 years, leading media planning, placement and negotiation for brands like Coca-Cola, Enterprise Rent-A-Car, and Caterpillar. She's seen the media landscape move from purely traditional media to the digital world we live in now and can't wait to see what's next. Meagan LeMelle serves as the Philanthropic Chair of 314 Digital. In this role she coordinates fundraising efforts on behalf of the organization. She is currently a Communications Specialist with The Boeing Company. In her spare time she enjoys exploring St. Louis and playing her violin. Diana Rosen is a Division Director for the St. Louis office of The Creative Group, a division of Robert Half, specializing in the placement of highly skilled marketing, interactive, and creative professionals on a project or full time basis. Before moving back to her hometown, she spent 7 years living in New York City working with A-list clientele as a Celebrity Publicist and Talent Booker. Diana holds a BA in Communication Arts and Political Science from the University of Wisconsin-Madison. Linda Larrigan has been part of the St. Louis marketing community for over 15 years. She’s currently an Account Executive with MNI Targeted Media working with a variety of agencies and brands in the region. Linda began her career on the client side working for Coca-Cola and Anheuser-Busch. She then started her own consultancy business, providing media planning and buying services to agencies. Please contact Linda at linda.larrigan@mni.com if you are interested in exploring sponsorship opportunities with 314 Digital. Thank you to our former president and co-founder, Carol A. Wolowic. Good luck on your next adventure!